Proof $100 platinum American Eagles have been made each year since 1997 and are the last of the platinum bullion coins to be made by the United States Mint on an annual basis. While many of the $100 proof platinum eagles trade for prices well above spot values, this fact does not seem to faze collectors, who enjoy purchasing these hefty – and expensive – numismatic marvels. 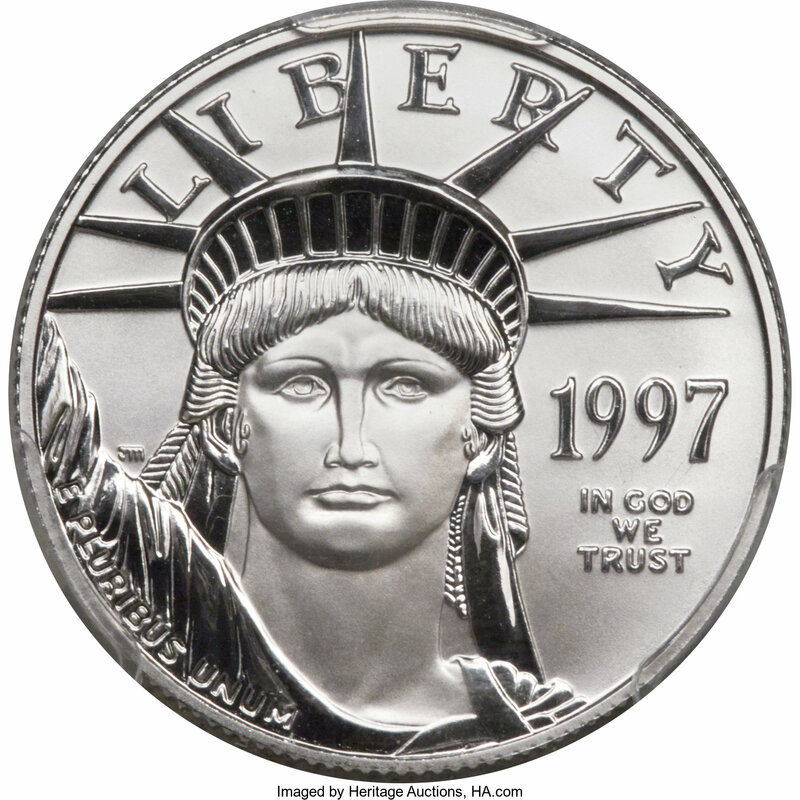 The $100 proof platinum American eagle features an obverse portrait by John Mercanti of the Statue of Liberty’s head and crown staring right into the viewer. Meanwhile, the reverse design changes from year to year and include motifs with several themes, including the “Vistas of Liberty” series that shows an eagle in flight over various American landscapes, and the “Preamble to the Constitution” series representing various American ideals protected in our nation’s founding laws and codes. Proof $100 platinum eagles are generally low-mintage coins, with several proof issues carrying mintages of fewer than 5,000 pieces. However, given that the demand for these expensive platinum coins is much lower than for other types of bullion coins availability is plentiful for the individuals who wish to buy these coins.